Can Humidity And Heat Damage My Flooring? As we touched upon in some of our past blogs, moisture can do some damage to your floor when you put it directly on the surface. 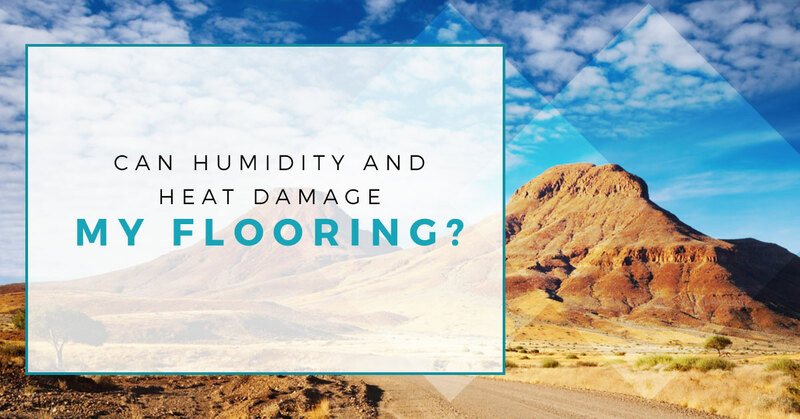 Living in Florida, you’re probably used to the humidity in the air, but is your flooring? 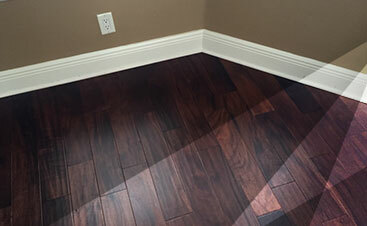 In today’s blog, we’ll be addressing the question that might be holding you back from getting hardwood or laminate flooring in your home: Can humidity and heat damage my flooring? When you live in Florida, you expect it to be humid and you probably pick facets of your home based on the humidity and the heat. Hardwood flooring is one of the perfect options to pick for a home because it keeps the house cool and is beautifully designed. In addition, laminate flooring can be a great alternative to the homes that have small children or animals. Regardless of what you’re looking for in your flooring, take the time to learn how 2 Day Flooring can assist you. As you probably know, there are two different types of humidity: low and high. You’re probably also aware of the fact that when hardwood floors are installed, there’s a gap around the edges, which can expand with humidity. The gap between the floorboards is good because it has room to grow; however, if the humidity becomes too high, then it will continue to expand and may crush the edges of the flooring. When the edges begin to crush, then the floor can buckle under the pressure. When the humidity goes down, then the flooring will go back to normal, but there will be crushed edges and the gaps between the boards can be bigger. In low humidity, the floor can shrink. Essentially, with hardwood flooring, you have to be careful about the humidity and should keep your home between 60 to 80 degrees Fahrenheit with a humidity between 35 and 55 percent. When it comes to laminate flooring, it’s held together in a different way. The laminate flooring is made up of a mechanical click system that is produced from wood products. When the wood becomes dry, then it doesn’t work with the clicking system. As the humidity levels rise in your home, then they can be affected by the changes of the seasons and the laminate flooring can begin to contract as well as expand. During the humid months, laminate flooring could begin to expand and take on a crown look. Just like hardwood, it can begin to contract when the humidity goes down, which could lead to cracks in the flooring. You can avoid these situations by keeping your hardwood and laminate flooring clean. You shouldn’t clean your flooring with water, but use a lightly dampened cloth. If you clean your flooring with water or water based products, then you could damage it. You’ll also want to keep the humidity in your home very low and make the necessary adjustments when there are changes outside. If the humidity in your home is too high, then turn your air conditioner up or dry a humidifier. 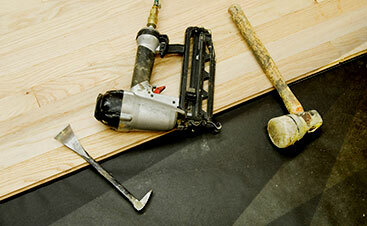 For more tips and tricks about flooring, continue to read our blog.